Klaus discovers his original human body, but Stan refuses to help him switch back. So, Klaus steals Stan's body and Stan becomes the fish. Meanwhile, Roger turns the attic into a gym, and tries to pressure Steve into a long-term membership. When Stan put his brain in Klaus' rotten corpse, all the things he was doing was laugh out loud hilarious. 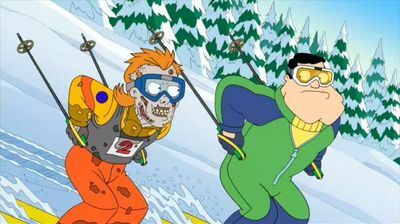 One of the funniest American Dad episodes ive seen.